Tiger Woods pulled off a miracle recovery shot and sank some monster putts to put himself one shot off the lead midway through the Masters. 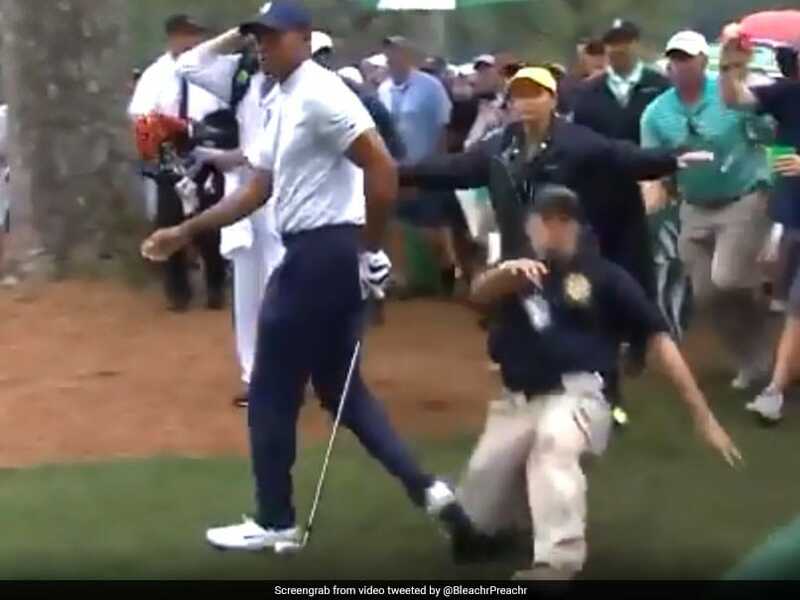 However, Tiger Woods' march in Friday's second round could have so easily been derailed after a close encounter with a security guard. With rain still falling at the Augusta National Golf Club, Woods headed toward the green at 14 and a security guard, seemingly in a rush to keep the crowds behind the American star, slipped on muddy ground and slid into Tiger Woods's right foot, causing a few fearful moments before the superstar tested his ankle and walked on unharmed. Speaking after the incident, Woods made light of the accident, saying "I've had galleries run over me". "I've had galleries run over me," he said. "When you play in front of a lot of people, things happen. It is what it is." "Accidents happen. We move on. I'm good," said Woods. There was better news, however, for Woods as the 43-year-old firmly put himself in the hunt for a historic 15th major title and fifth green jacket. American superstar fired a dramatic four-under par 68 to share sixth place on six-under 138 through 36 holes, one stroke behind a record Masters lead logjam of five co-leaders -- all of them major winners -- on seven-under 137. 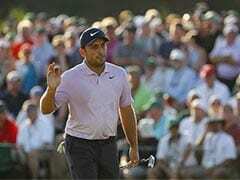 Reigning British Open champion Francesco Molinari, last year's British Open and PGA Championship winner Brooks Koepka, Australians Jason Day and Adam Scott and South African Louis Oosthuizen all shared the midway lead. But their feats were all eclipsed by Woods, who signaled he would be a threat to capture his first major title since the 2008 US Open and first Masters title since 2005 -- astonishing after years of knee and back injuries that made him doubt if he would ever play competitively again.